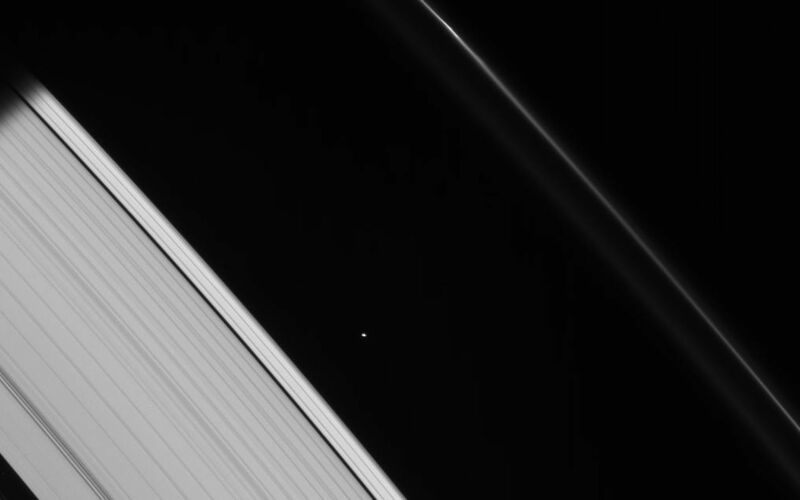 This strikingly crisp view shows Atlas heading into Saturn's shadow at upper left. 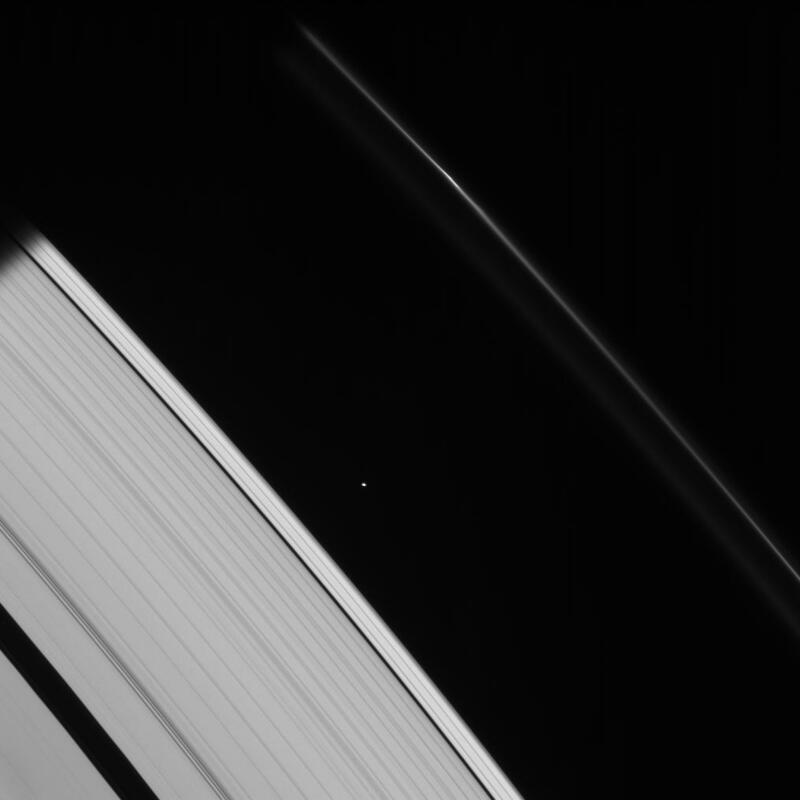 The moon's basic, elongated shape is easy to detect here. 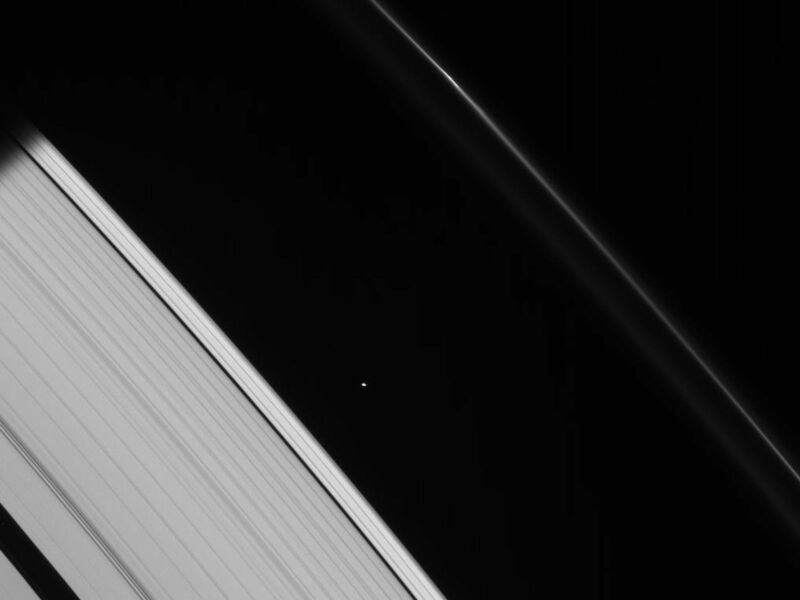 Above Atlas (32 kilometers, or 20 miles across) in the image, a bright clump in the F ring also heads toward the darkness. 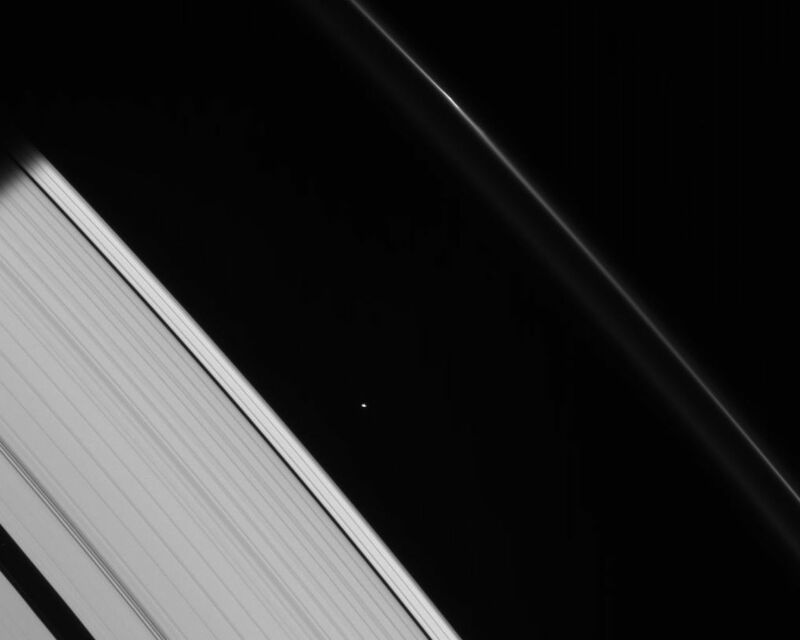 The image was taken in visible light with the Cassini spacecraft narrow-angle camera on Jan. 19, 2007 at a distance of approximately 1.2 million kilometers (700,000 miles) from Atlas. Image scale is 7 kilometers (4 miles) per pixel.